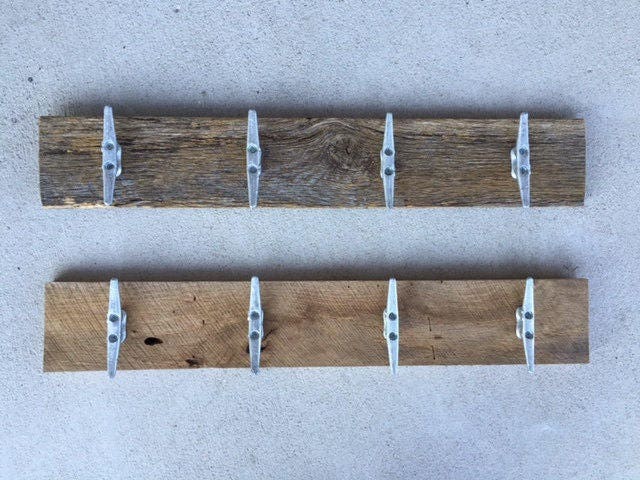 This indoor outdoor towel rack made of authentic barn wood works with your rustic farmhouse décor for coats in the foyer, mudroom, or entry hall;it is practical and beautiful. 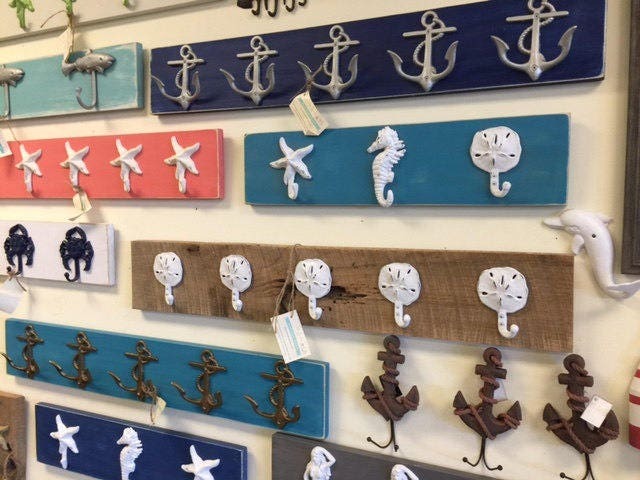 Customers love our reclaimed barn wood with boat cleats on authentic TAN or GRAY barnwood from the Shenandoah Valley, made with heavy old oak wood, from the corncrib on his property that was there when they bought the farm in 1945...These are beautifully crafted galzanized steel boat cleats that would look terrific in your entry hall, mancave, cabin, beach house, cottage at the river, or in your guest room, bathroom or mudroom. 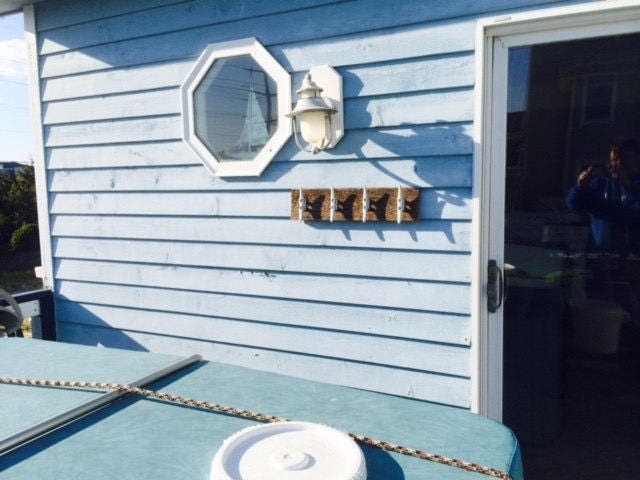 Makes a great affordable practical hostess gift/thank you for someone who let you stay in their cabin/beach house/ lake cottage/condo! The hooks are of cast iron, sure to hold up for decades~they're heavy and sturdy. 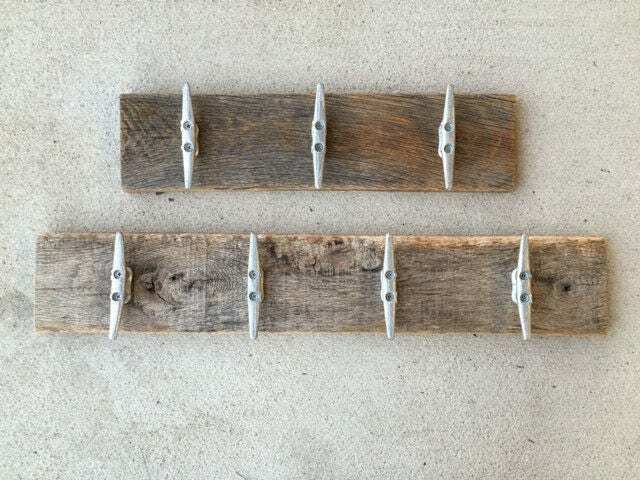 Your rustic hook board will have 2 ring type hangers on the back, so it's ready to hang. THIS listing is for the 3 THREE boat cleat design, on authentic barnwood in tan or gray barnwood..be sure to let us know which you want: TAN, or TAN with some gray, barnwood. If you like this look, check out our other beach lake and river house designs. Little dirty to use as a towel rack. Going to put some poly on it to seal it first.